Dallas/Ft. Worth, TX—Celebrated author of over 70 books, Stan Toler has touched countless hurting people with his timeless stories of hope and encouragement. 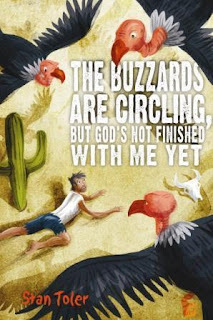 This summer, a whole new audience of readers will have the opportunity to discover Toler’s best-selling books as David C Cook introduces the updated editions of two of Toler’s most beloved collections—The Buzzards Are Circling, But God’s Not Finished With Me Yet and God Has Never Failed Me, But He’s Sure Scared Me to Death a Few Times (David C Cook, August 2009). Stan Toler is senior pastor of Trinity Church of the Nazarene in Oklahoma City, Oklahoma and was recently elected as the 39th general superintendent of the Church of the Nazarene. For several years he taught seminars for Dr. John Maxwell’s INJOY Group, a leadership development institute. He also serves as the executive director of the Toler Leadership Center, located on the campus of Mid-America Christian University, and is the co-founder of BGW Forward in Faith. 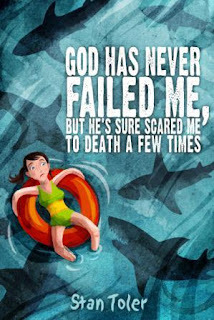 Toler has written over 70 books, including his bestsellers, God Has Never Failed Me, But He’s Sure Scared Me to Death a Few Times; The Buzzards Are Circling, But God’s Not Finished With Me Yet; God’s Never Late, He’s Seldom Early, He’s Always Right on Time; The Secret Blend; Practical Guide to Pastoral Ministry; Total Quality Life; and his popular Minute Motivator series. Where do you find such interesting books. These sound so apropos for today's world. Will definitely add them to my TBR list.